What is Super Pure Omega 3 Bite-Sized Chews? 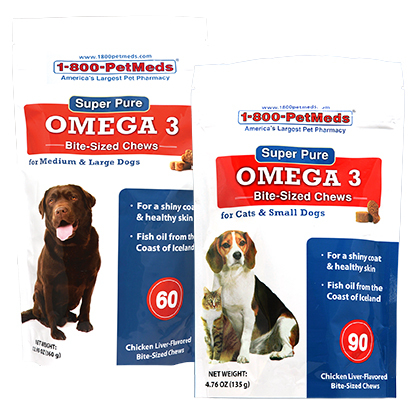 1-800-PetMeds Super Pure Omega 3 Bite-Sized Chews are fish oil supplements, rich in omega 3 fatty acids derived from Icelandic fish oil. Super Pure Omega 3 Bite-Sized Chews help promote shiny skin and a healthy coat. 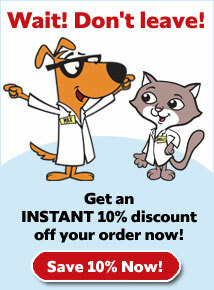 These soft chews are easy to administer to your pet and come in a chicken-liver flavor pets love. NOTE: Also available as Super Pure Omega 3 Liquid and Super Pure Omega 3 softgel caps. How do Super Pure Omega 3 Bite-Sized Chews work? Antioxidants such as omega 3 help prevent free radicals from causing damage to the cells of organs in the body. 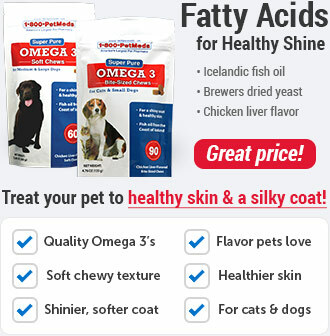 The omega 3 fatty acids contained in each Super Pure Omega 3 Bite-Sized Chews were derived from fish off the coast of Iceland and helps promote healthy skin and shiny coat. The soft chews are chicken-liver flavored, which most pets love, and you can give to your pet just like you would a treat! 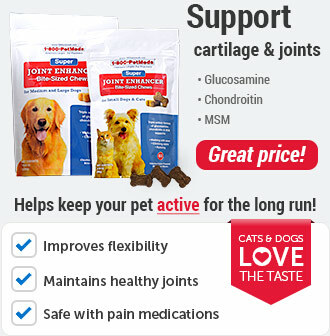 Super Pure Omega 3 Bite-Sized Chews are available only at 1-800-PetMeds. 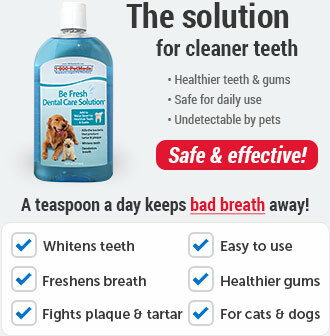 For use in pets only. Keep out of reach of children. 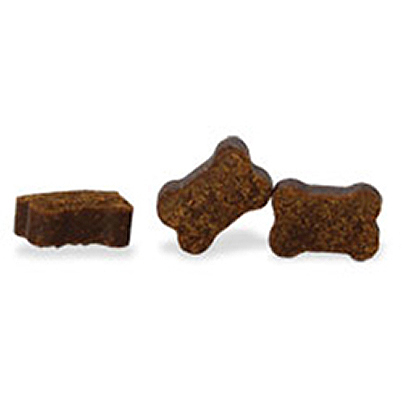 Super Pure Omega 3 Bite-Sized Chews help promote healthy skin and shiny coat. 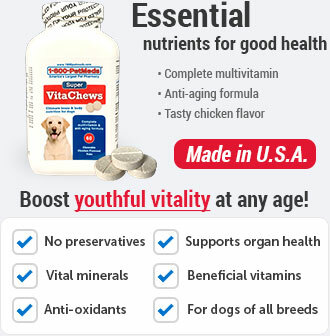 Comes in a chicken-liver flavored soft chew that most dogs and cats love. 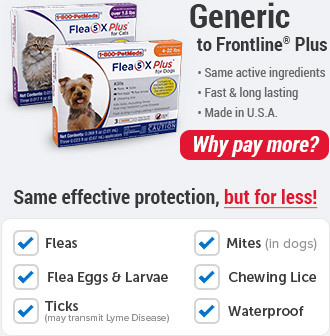 Other Ingredients:Brewers dried yeast, chicken liver flavor, water, arabic gum, citrus pectin, fish oil concentrate¹, soy lecithin, glycerin, maltodextrin, sodium alginate, calcium sulfate, safflower oil, sorbic acid (a preservative), propionic acid (a preservative), mixed tocopherol blend (a preservative). ¹Fish oil concentrate is from Icelandic Fish oil.